It was clear that racing was in my blood and from a young age, I was hooked. With my father involved in the business, we began racing throughout the country, eventually winning the North American championship and multiple U.S. titles. Go Karts provided the skills and opportunities necessary to move to racing cars, it also was an incredible way to bond with my father. Racing was clearly my passion, but as I entered into my late teens, it became apparent that the conventional route of spending millions of dollars to kick-start my racing career was not an option. Thanks to very generous companies like Skip Barber Racing School & King Taco, scholarships were available to give drivers like me a chance. I spent my first couple seasons trying to break through by driving whatever people would let me and capitalising on every opportunity that presented itself. 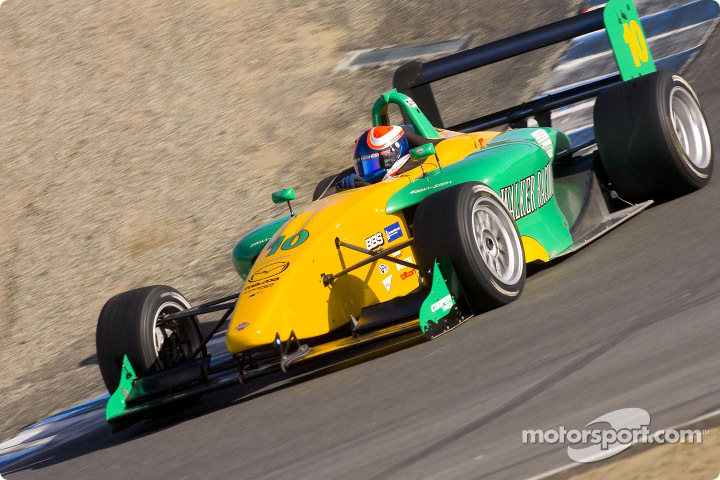 Those opportunities came by winning Skip Barber scholarships that funded 2 full seasons in junior categories. I spent weekdays balancing school and working at Starbucks to pay for the global travel that went along with it. I will never forget the day. I had just completed my final race of my final scholarship, finishing on the podium in Montreal and winning Rookie of the Year honors. It was bittersweet however, I had no funding to continue racing cars for the next year, I had no idea what was next. After celebrating, I returned to the garage and there was a missed call on my phone. It was from Indy 500 winner Danny Sullivan, asking me if I was interested in joining the Red Bull F1 Drivers Search, an American Idol style program with the goal of creating the first American F1 driver since 1978. That was the quickest returned call in recorded history. Yes. Through several intense days of competition with 50 other drivers, Red Bull selected me as the winner and a fully funded season in Formula Renault, an ultra-competitive category in Europe. Formula 1 style racing is primarily a European sport, Americans had shown little interest or success in the sport since the beginning so nobody gave me much of a chance; I sure as hell was going to give it my all though. With Red Bull being an Austrian company it was a no-brainer to call Austria home so I packed every jacket I owned and set up shop in Fuschl Am See, Austria with a familiar roommate, Scott Speed. My first year as a Red Bull driver was absolutely incredible. Races in 15 countries across the globe, It was the experience of a lifetime and the results made people sit up and take notice; I narrowly missed out on the European Championship winning several races in the process. In doing so, Red Bull signed me to a multi-year agreement, including an option for F1 opportunities. Although I had a fresh vote of confidence from Red Bull and an F1 contract, I knew it would be short lived if the results weren't stellar. Red Bull promoted me to the World Series by Renault at the footsteps of Formula 1; although there were some high-points, including a podium in Le Mans, the season was the most difficult of my career as the team wasn't very competitive. Thankfully, Red Bull noticed and gave me a second chance with a new team the following year. I knew this was pivotal, I was in the best shape of my life and ready to seize my Formula 1 chance. We started the year on top and were a championship favorite. 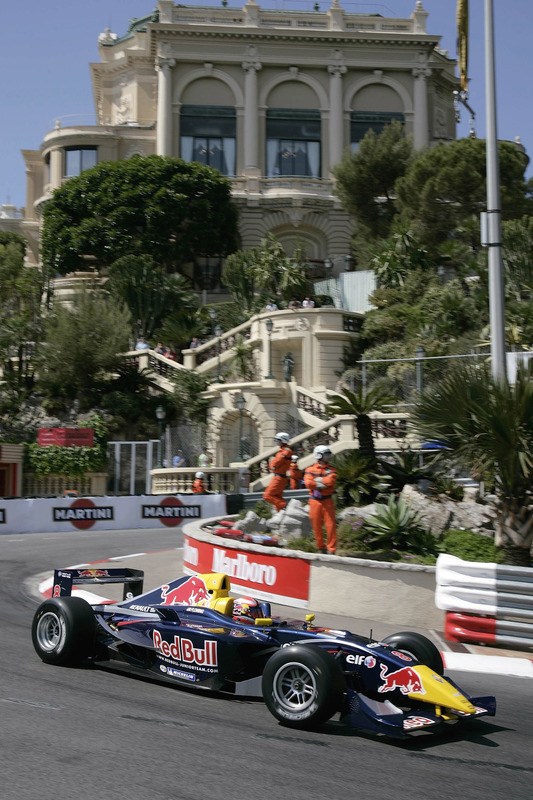 I nearly grabbed pole position in Monaco and was top 5 in the championship early in the season when I got an unexpected phone call from Red Bull. They wanted to give a young Sebastien Vettel (now 3-time F1 world champion) a faster track to Formula 1 and just like that they replaced me, mid-season with a 2 minute phone call. I was devastated. Several years of blood, sweat and tears, my Formula 1 chance was handed over to someone else. For the first time in 15 years, I had no race to look forward to and nothing on the horizon. The Reality of the Sport. Without the support of Red Bull and with the economic climate in turmoil (2007-2008) , I knew raising sponsorship would be a real challenge. In fact, over the next few years I spent more time in board rooms and sponsorship meetings than I did race cars. My management team and I were able to put together a few opportunities in the states across Indy Car and Nascar and despite some success, every year was like starting from scratch again. The economic situation was such that nearly every team at the pinnacle of motorsports required a driver to bring several million dollars per year. After a few years of losing out on opportunities to drivers with large family wealth or government backing, I began to question a career path in which every year held such uncertainty. I made the incredibly difficult decision that in order to fall in love with the sport again, I had to hang up the helmet as a profession. I decided to put the marketing skills I had learned raising millions of dollars in sponsorship to work for me and applied my passion and energy to the world of technology in Silicon Valley. Of course I miss the speed and energy of driving such high-performance cars often, but working for the most innovative company in the world, Salesforce sure has its similarities.